Nicole Blades, known from her parenting blog Ms. Mary Mack, has joined BlogHer as a family editor. Blades previously served as a senior editor for Women’s Health. 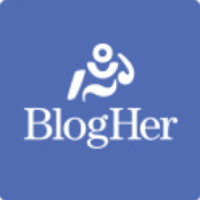 Blogher is a participatory news, entertainment and information network for women online and aims to create opportunities for women who blog to pursue exposure, education, community and economic empowerment. The blog also serves as a guide to popular trends among women in social media and provides a forum for women speak their minds on every topic from politics to parenting. For more stories catered to women’s interests, follow BlogHer on Twitter.